This development for St Modwen Homes on the edge of the Caldicot Moors forms a parcel to the wider residential development for 4000 homes to the East of Newport on the site of the former Llanwern Steelworks. The wider masterplan for the site includes supporting infrastructure for schools, pub, restaurant, community centre as well as a network of cycle paths along its landscaped reens and open spaces throughout the site. 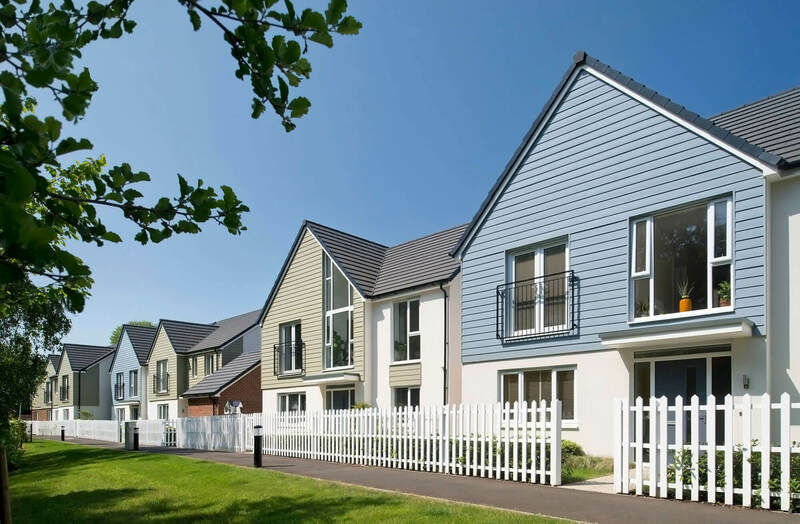 This development parcels overlooks the existing Lakes to the far West of the site and has created a ‘New England’ feel to the houses through the use of coloured weatherboarding. St Modwen Homes design signature of large proportioned windows and screens ensures that each of the homes benefits from the siting and views afforded around the existing Lakes.